Yellon invests strategically in Malmö - Yellon - Arkitektur, Design och Kommunikation - Jönköping • Malmö • Stockholm • Berlin. Yellon invests strategically in Malmö - Yellon - Arkitektur, Design och Kommunikation - Jönköping • Malmö • Stockholm • Berlin. 03-05-2016: In one year, Yellon has grown by around ten people, evenly distributed across the offices in Malmö, Jönköping and Stockholm. 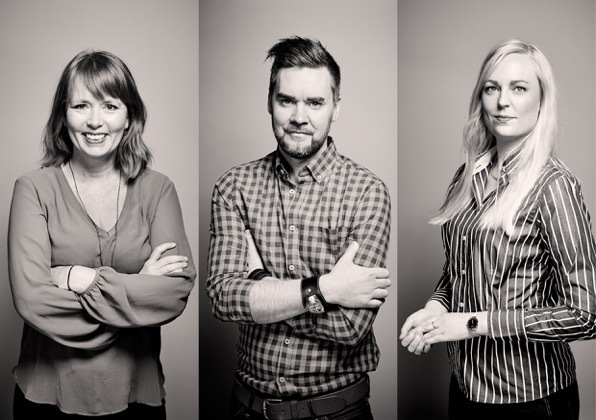 Now the brand experience agency has expanded with a senior copywriter, acquired from Pyramid, and another BIM projector and a construction engineer. Yellon has brought together architects, industry designers and communicators to create unified brand experiences across all contact areas. Among the clients are JM, Skanska, Carl Malmsten, Stolab, Infobric and the A6 Center. The recruitment of Anders Hultsborn and Elin Södersten is a natural consequence of increasingly extensive architecture assignments. The reinforcement of Jessica Cederberg as senior copywriter is a strategic focus on Malmö, where Yellon is well-established as an architect agency but relatively unknown for design and communication. ‘We have only just started looking at the opportunities in the Öresund region. Jessica contributes partly with her skills and experience, and partly with her large local network. It has already led to several interesting meetings,’ says Markus Leijonberg, CEO of Yellon. There are plans for further recruitment. ‘We water where things grow and see every day as a chance for growth, but we are not in a hurry. The most important thing is to recruit driven people who want to participate in and shape development – and who dare to work cross-functionally,’ says Mark Leijonberg.